A masterful, phrase-by-phrase examination of the book of Romans from a pastoral perspective. 4 Volumes, More than 900 pages. Using the Book of Romans as expositional studies, Donald Grey Barnhouse carefully examines Paul's letter phrase by phrase, plumbing its immediate meaning as well as placing it in the larger context of Scripture. This allows Scripture to be interpreted by Scripture, bringing all the correlated truths of the Word to bear on each line and word of the epistle. This set is a wealth of interpretive material from a master exegete. Sometimes overlooked, Barnhouse's commentary on Romans is fundamentally conservative on doctrine, but presented with a pastor's heart for effectively communicating the sometimes difficult theological concepts of Romans with passion and in every-day language. Anyone desiring a firm grasp on Romans will benefit from Barnhouse's disciplined approach to its transforming message. 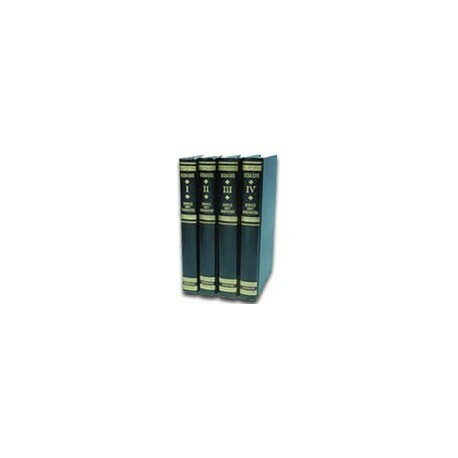 Add this hard to find four-volume commentary to your PC Study Bible Version 4 library today. In our modern society Satan has taken the truths of Gods word and twisted its meanings to deceive as many as possible.Christ did not come to teach religion he came to die.Cast off your baptist, catholic, evangelical, presbyterian, shed your earthly wisdom and receive the wisdom from above. Barn house is spot on and for those who refuse truth God have mercy on you.